Via the submenu on the left you can find assorted accessories to our products, which make recording life easier. 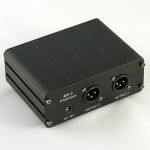 48V phantom power for condenser microphones. 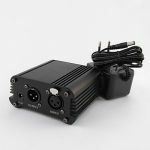 48V phantom power for condenser microphones. Stereo version. K&M 210 Boom Stand, the Classic! The all time classic boom stand. Heavy studio stand for maximum operating range even with very heavy microphones.